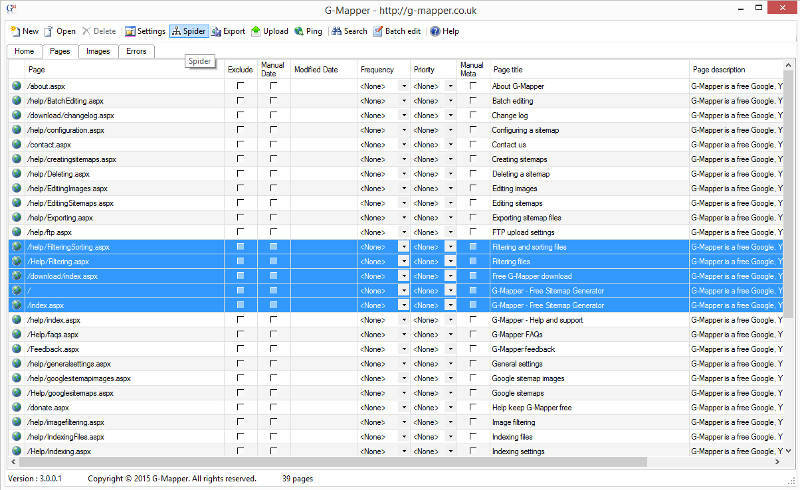 Free, unlimited, HTML, RSS and Google XML sitemap generator download for Windows. Compatible with all major search engines including Google, Bing, Baidu, Yandex and more. Sitemaps tell search engines when and how often pages are updated, and their relative importance. Find out more about sitemaps. For more information see the G-Mapper website.